While there may appear to be an abundance of alligators here and there, especially when one is near your backyard, it is important to note that as of May of last year the American Alligator remains on the FLORIDA’S ENDANGERED AND THREATENED SPECIES list. Residents of Fish Hawk Trails may start to see alligators move from nearby bodies of water to other areas as male gators search for mates. This is the beginning season of love for Florida alligators. Mating season has begun and typically continues through the early part of June. Shallow waters or the shore is a favorite late-evening trysting spot. Males produce a heart-stopping roar to attract females and to ward off any other males who might be nearby. 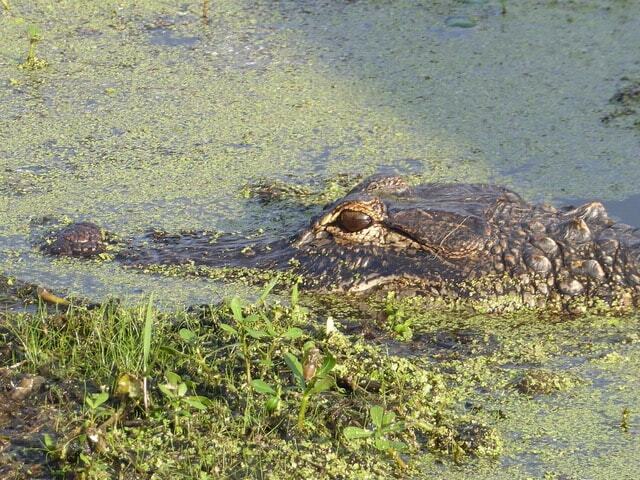 According to alligator experts, the hotter weather is also impacting their movement. They are cold-blooded animals and once it starts warming up, their bodies start warming up, and they start traveling. This is also the season when males are on the move searching for females. Males are pushing smaller males out of their territories, and those smaller ones are out looking for new spots to reside. While it may be tempting to want to get close to alligators to take pictures, experts say it is better to keep your distance. Definitely, do not feed the alligators. Alligators are normally afraid of people, but once people start feeding them, they lose that fear and then they start approaching people. Once they are no longer afraid, we have a big problem.